Earlier this week, just outside the church at the corner of Heath and Yonge, my attention was drawn to a car blaring its horn as it tried to urge a truck in front of it to move more quickly thru the intersection. I watched the driver as she shouted silently – all her car windows were shut tight – and gestured most rudely at the obviously too slow and cautious driver before her to hurry up and get going. She failed in her angry outburst as he made it through the lights and she was forced to wait the additional minute as the stop light moved through its cycle. Imagine - in today’s modern urban world – where we are crowded daily into subways, highways, streetcars and public spaces of all descriptions – that the number one rule of the road was to be --- hospitable. Imagine in today’s corporate world – in today’s global economy - that hospitality was a product most precious – a commodity of utmost importance. Imagine an academic world where hospitability was as highly valued as brilliance, ability, good marks and creative thinking. Imagine a world where competition – holding the competitive edge – being at the top of the heap – being on the cutting edge or having a corner on the market was valued less than being hospitable. If we are having difficulty imagining such a world as this, it is most likely because we are having difficulty understanding what hospitability means – and what it involves – within the frame which I am constructing. Hospitality is a central theme within today’s New Testament lesson. And the question such a theme raises before people like you and me who live so far away in history from the original Christian community which authored today’s Letter to the Hebrews – might be --- what is the meaning behind the word? What are the --- “nuts and bolts” as it were --- of being hospitable? The most common secular understanding of hospitality is of course – that of being hospitable – being a good host – welcoming guests into one’s home with dignity and grace. Hospitality is the act of making a stranger feel like a guest. Hospitality is by this definition – a reflection of who we are, of our character and manner of being. I am sure – like me – many of you have experienced false or insincere acts of hospitality. For sure – anyone can be polite, attentive – even generous when welcoming a guest or stranger into their home or place of business. But being truly hospitable – being able to make that same guest or stranger feel at home, comfortable, secure – truly welcomed – such hospitability is more a reflection of the spirit of the host – rather than the ability of the host. In our age -- it is at times a subtle – but significant difference. In first century Israel – being hospitable could mean the difference between life and death. While the author of this letter to the Hebrews is unknown, it is understood that the letter was written sometime before the fall of Jerusalem in the latter half of the 1st century. Historically this was a very turbulent time in the Middle East. Travel was then always a risky endeavor. One never traveled alone and staying at a lodge or inn was always a last option. For if you did you were wise to hire a guard to watch over you while you slept. Therefore – if you did indeed travel you tried to stay always with family or friends along the way. Hospitality was an essential social obligation. The traveler’s life could very well depend upon the safety and security of your hospitality. And of course – if you ever had to travel, then your life was dependent upon others returning the gift of hospitality to you. 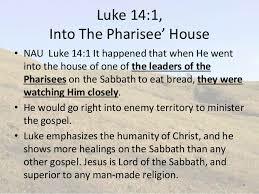 It is within this context that our Hebrew passage rests – it is this historical setting which informs our understanding --- that you and I are called to a ministry which is for us in this 21st century, something significantly different than mere social hospitality. We are being called this day into a ministry of radical faith based hospitality. Now – do you believe in angels? I have a very good and long-time friend who does. She cannot understand my reticence in believing in angels. After all she reminds me – I am a man of God. If a person of faith cannot embrace the reality of angels – well --- enough said for now. In our scientific age, belief in angels is seen as more sentimental than real. Yet in first century Israel angels were considered very real. They were the agents of God who revealed not only the divine will of Yahweh to the people of Israel, they often entered into the lives of the faithful becoming the agents of change who redirected the course of people’s lives. There are well over 200 references to angels within our bible. Angels herald the birth of Christ and bring news to Abraham that he is about to be a father. Angels lead the persecuted to safety and reveal God’s truth to those who become prophets of their age. It is understood within the metaphor and imagery of the bible that angels play a vital role of revealing God to humanity. Angels manifest God to humanity – humanity perceives God in our world through the presence of angels. My friend often challenges me that I struggle to believe in angels because I choose not to see them active in my life. She suggests that angels come in all forms and shapes – but most often they come in the form and shape of a stranger. I cannot see the angels in my life she suggests because I struggle to see God in the face or actions of the stranger. From a friend most dear – these are tough words to hear. Tough because they speak to a faith perspective which informs not only how God desires us to view this world of ours – but also how God desires us to be in this world. It is a perspective of faith with which I continually struggle to embrace. Jason Foster, Christian educator living in Kingstowne Virginia suggests that hospitality as presented to us in the bible is not merely a social practice but a way of life. It is a whole life view of understanding which embodies a Christian ethic of how we are to conduct our daily lives. A Christian faith based hospitality is meant to inform and empower us, he suggests - it is meant to shape our way of looking out upon the world. It is meant to shape how we see, understand and interact with society. Jason Foster suggests that if we are to live a hospitality which sees each stranger as an angel of God – if we are to order our mind and heart so that – as my friend suggests we are to see God in every person we encounter – then we are to understand that faith based hospitality is a ministry we are all called upon to embrace. That such a life of hospitality cannot exist unless it is informed and empowered by our love of Christ as captured within Jesus’ great commandment that we are called to love one another as ourselves. That the discipline of daily hospitality is fundamental to a daily witness of faithfulness to God. That the most effective way to bear faithful witness to the world is to live most fully the ethic of Christian hospitality and finally that communities of faith grow most authentically when we through acts of faith based hospitality make strangers our guest and our guests our family. You can understand now – how radically different our faith based understanding of being hospitable is from our accepted social practice of being hospitable. Our Hebrew lesson very quickly compels and challenges us to reflect upon how we order our relationships and how we chose to see our world. God is either active in our world --- or is not. God is either embodied in our world through the actions and interactions we have with those we meet – or God is abstract, distant and relatively uninvolved in our lives. God is either part of us – shaping our lives and the lives of others through our actions --- or God is nowhere to be seen, heard or experienced. I am fairly certain that the annoyed and frustrated driver I saw a few days ago saw the man driving the truck in front of her as an obstacle and hindrance to her need to get where she was needing to go. We have all had similar experiences. My wise old friend would challenge me to wonder how different the day might have been for that driver if she saw the truck driver as an angel rather that someone simply in her way. Would she have arrived at her destination more claim, in a more positive frame of mind? Might she have been more receptive to enjoying her driving experience? Would she have had the time and frame of mind to see and enjoy the sights and sounds unfolding around her – even on as busy a street corner as Heath and Yonge? And if she was in such a frame of mind – if she had been able to see the truck driver as an angel --would she have been able to see God more clearly around her? Would she have been more open to experience the grace of God in the daily ordinary or even annoying moments of her life? Who knows? Who knows indeed. The truth of the matter is however – as my friend so loving points out – we will never know unless we choose to see those angels who surround us. Oh – and by the way ---- while my friend understands my struggle to believe in angels – her belief is clear and strong --- she believes that I am an angel in her life – or at least that is what she says she sees in me. I have decided that I can live with this.